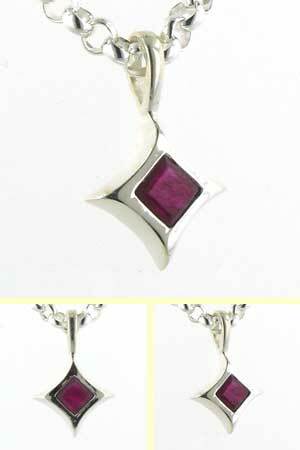 Ruby pendant set into sterling silver. The ruby used in this pendant is included and opaque, obviously not the quality used for the finest cut stones but nevertheless genuine ruby. The gemstone is emerald cut and is the traditional cerise pink colour of rubies. 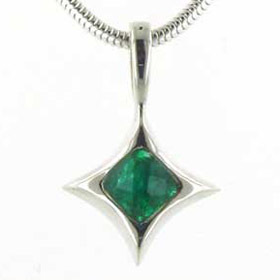 It is set into an elegant diamond shaped sterling silver frame. 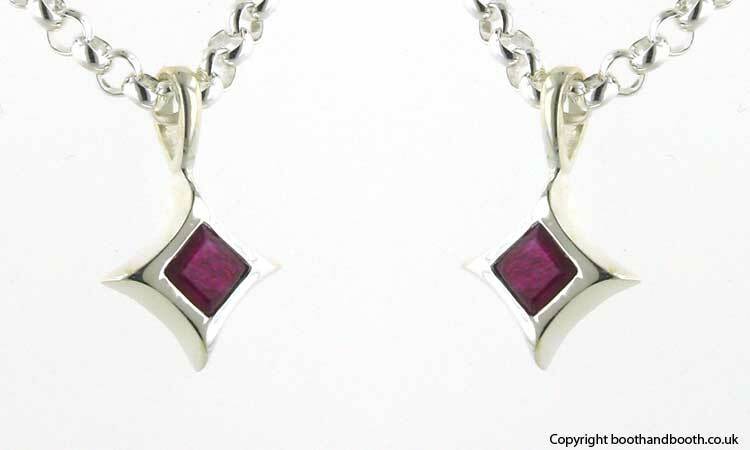 Choose this pendant for a July birthday - ruby is the July birthstone. 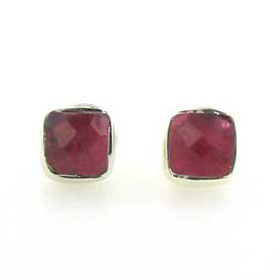 See also our ruby earrings and ruby bracelets. 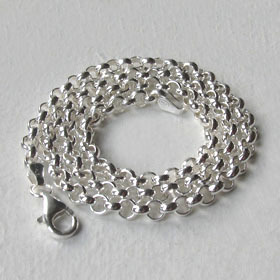 The chain shown is our silver belcher chain, width 4mm (see below). All our silver chains are made in Italy.